Awakes to shine on this old earth. To seek His will and read His Word. That He will meet me there. By faith my heart can sing. In Him I can abide. I seek to do His will. I rise to greet the day. What is the one thing you have prayed for, wondering why God has tarried so long in answering your prayer? Perhaps you gave up hope a long time ago because an answer to your prayer would require a miracle and you weren't quite sure God was up to the task. Perhaps you prayed for a job that would end a long season of unemployment and financial stress, or for the return of a prodigal child to his spiritual roots and upbringing. Or maybe your prayer was to be healed from a serious physical or emotional hurt or illness. God cares about the things that break our hearts. He still works miracles and answers prayers. We might have to look back across the years to see his answers to prayer, but once we see and remember his hand of grace in our lives, we can once again be filled with hope that he will answer in the future as he has answered in times past. Even if your answer doesn't come immediately or in the way you expect, you can rest assured that God has heard your prayer and is working things out in ways you cannot see -- in ways that will benefit you in the long run. God has answered many of my prayers, some of which I have prayed for years. That gives me hope that he will one day answer the prayers I continue to offer him daily and, in his time, fulfill his purposes in my life. He will do the same for you if you will believe his promises, persevere in prayer, and surrender yourself to his will. Jesus said, "So I say to you, keep asking, and it will be given to you. Keep searching, and you will find. Keep knocking, and the door will be opened to you. For everyone who asks receives, and the one who searches finds, and to the one who knocks, the door will be opened" (Luke 8:9-10, HCSB). If Jesus said it, I believe it. So can you! 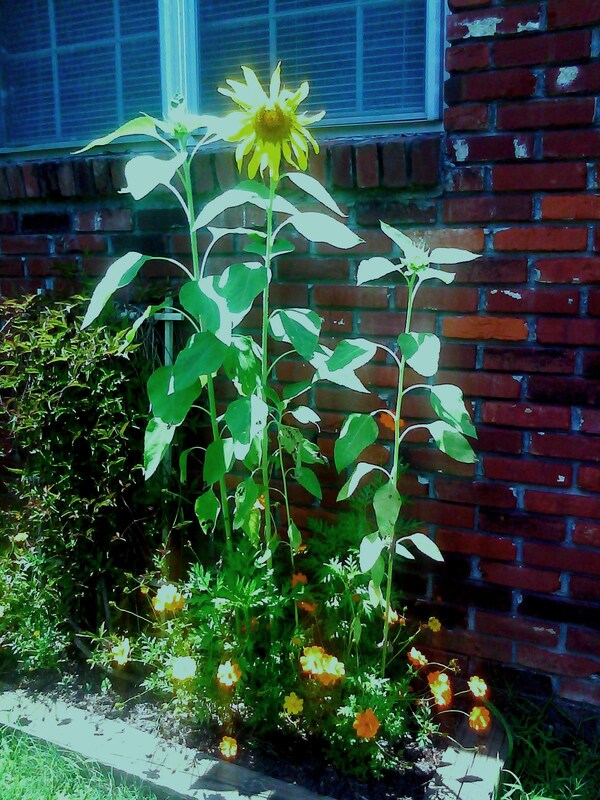 I finally figured out why I love gardening so much. Click here to read more. What to Do When You're Worn Out! Feeling tired and stressed? Click here to read "What To Do When You're Worn Out!" Please bookmark my new inspirational blog, Two Cents Sermons, in your browser or sign up to receive new posts by email by clicking here and entering your email address in the section, "Receive Two Cents Sermons by Email" at the top right side of the page. 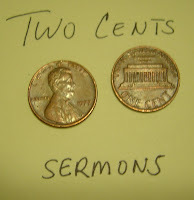 I have just started a new inspirational blog, Two Cents Sermons, at www.twocentssermons.blogspot.com. I hope you'll take a minute to stop by and tell your friends about it, too! My kids started their school year this week and things are busy around our household. If you have school age kids, you know exactly what I mean. That's why it's more important than ever to find a few quiet moments in the morning before the chaos of the morning routine ensues and get alone with God to pray and read His Word. A few moments spent in God's presence will set the tone for the rest of your busy day. And that is my two cents worth for today! As I wrapped up my quiet time this morning, I came across the above verse from the book of Isaiah. As I read this brief prayer I realized just how merciful God has been and how faithful he has been to meet me each morning, listen to my prayers, and work in my life to accomplish his purposes. Sometimes it seems as though we get shortchanged in the mercy department. However, I believe if we are truly living for God and look for his blessings in even the most unpleasant circumstances, we can see his hand of mercy in our lives, no matter what we may be going through. Seeing God's mercy in our lives sometimes requires that we not look so hard at ourselves, but turn our attention to others whose difficulties far outweigh our own. When we stop feeling sorry about ourselves long enough to extend God's mercy to those around us who so desperately need it, somehow God's mercy to us becomes a little easier to see. Jesus himself said, "Blessed are the merciful, for they will be shown mercy" (Matthew 5:7, NIV). If you need God's mercy and strength today, then take a few minutes to wait on him in prayer and seek an encounter with him in the pages of Scripture. Ask him to reveal himself to you and to be your very present help in times of trouble (Psalm 46:1). Extend his mercy to others and thank him for his mercy to you. Warm sunny days, moments of leisure. Cool gentle breezes gave way to the heat. Where did you go, Summer? Why in such haste? So busy you kept us. No time did we waste. And each day will find us too busy again. Oh, Summer, how quickly you leave us once more! Before long sweet Autumn will knock at our door. And shortly thereafter, you'll be right back here.